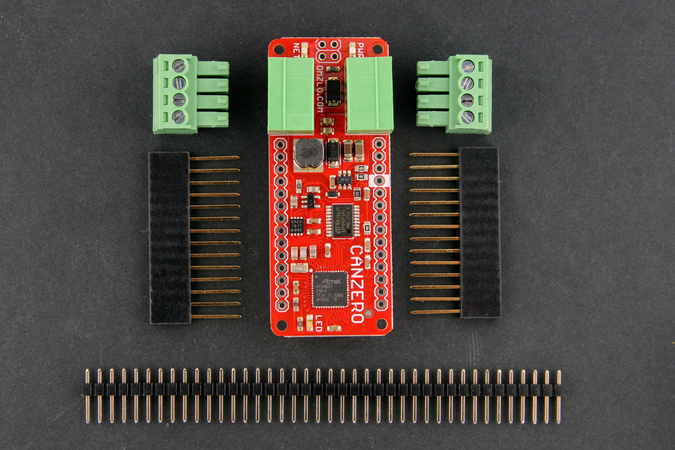 The CANZERO is a powerful Arduino-compatible wired IoT node, for your home and garden. 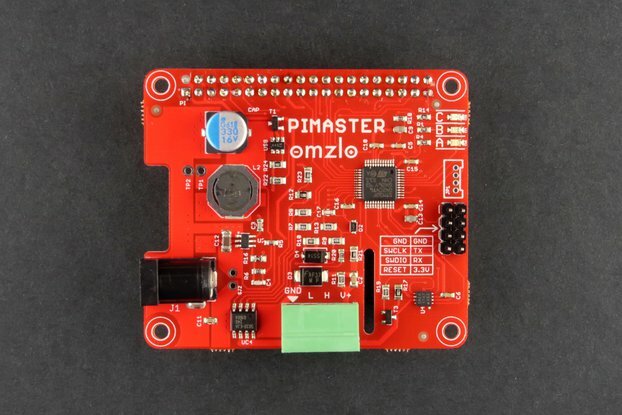 The Omzlo CANZERO is an Arduino-compatible board with builtin CANbus networking and designed to be connected to a NoCAN network, enabling you to create wired IoT applications for the home and garden. If you don't know what NoCAN is, please check our presentation here or our successful Kickstarter campaign. 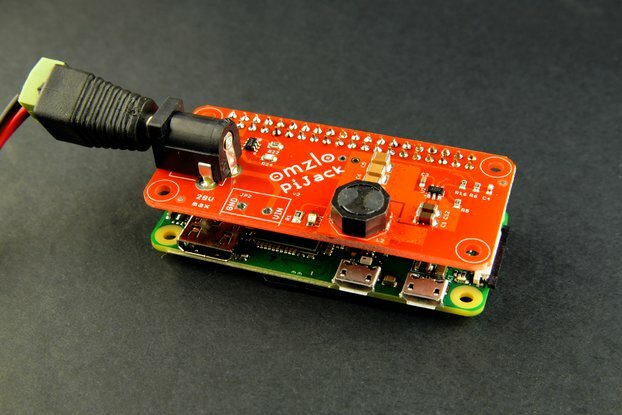 The Omzlo CANZERO is designed to act as an independent node in a NoCAN wired network. Each CANZERO node can be programmed independently and communicate with other nodes in the network, creating applications with multiple sensors and actuators spread over a distance of 300 meters (1000 feet) and more. 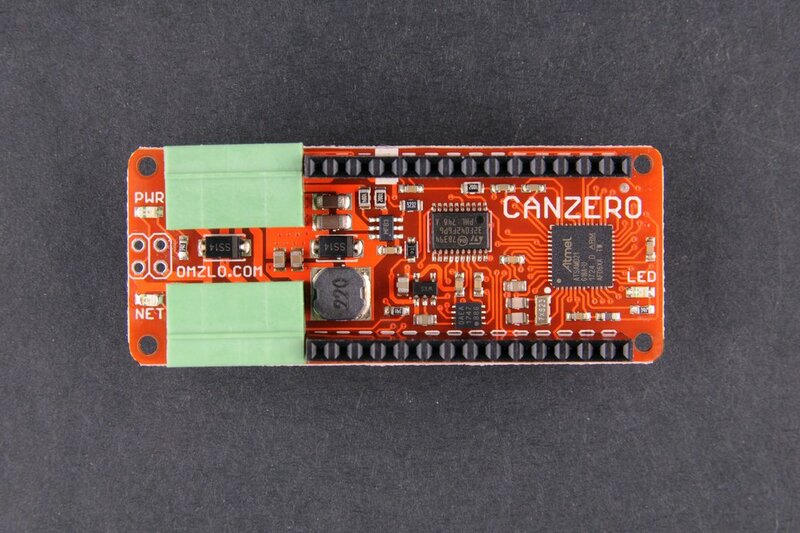 You can use the Arduino IDE to build your application and then upload the created firmware to your CANZERO node directly over the network. 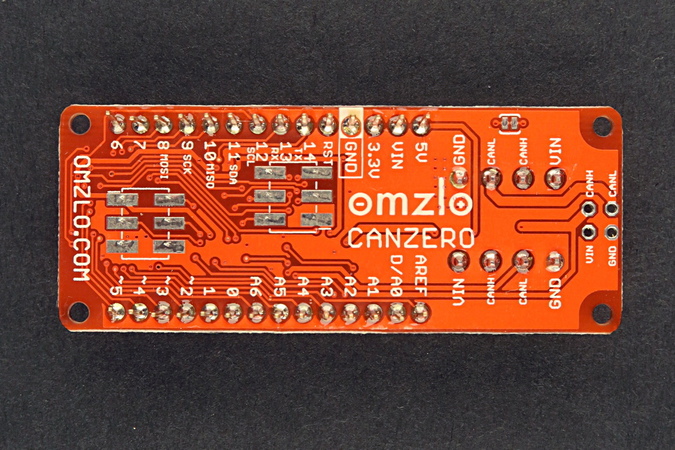 The Omzlo CANZERO shares the same mechanical footprint as the Arduino MKR Zero, measuring 61.5mm by 25mm (approx. 2.4" x 1"). 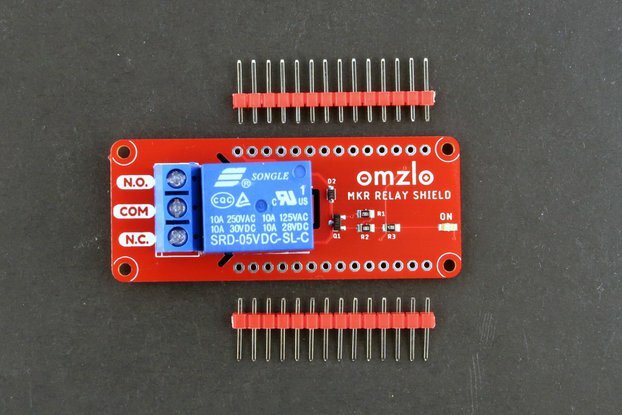 As shown in the pinout diagram below, it also shares the same double row of 14-pin 2.54mm headers: most shields designed for the Arduino MKR Zero should work on the Omzlo CANZERO. The main MCU: a SAMD21G18A. The network driver MCU: an STM32F042. A step-down switching regulator providing 5V (500ma max) from the 6V to 28V DC wired input (MCP16301). An LDO taking 5V down to 3.3V (300ma max) for the MCUs and board logic levels (MIC5401-3.3). A CAN bus transceiver IC (MCP2562). Green: network or bootloader status. 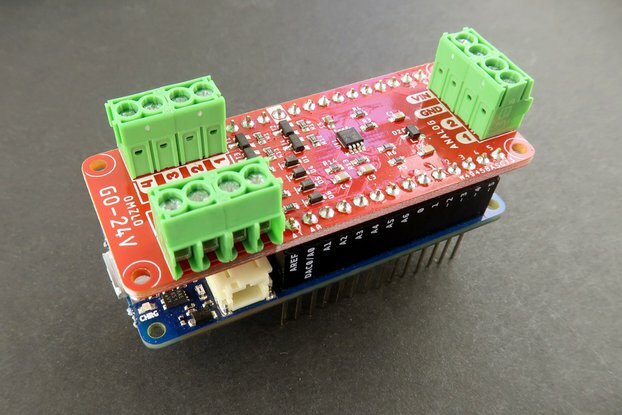 Two 14-pin 2.54mm headers: provides digital, analog and power connections, following the same pinout as the Arduino MKR Zero. Two 4-pin pluggable 3.5mm headers provide connection to the network and power (VIN, GND, CAN_L, CAN_H). A reverse polarity protection diode and various passives. The CANbus network runs by default at 125Kbps. The bottom side of the board provides pin names and connection information. A fully assembled Arduino-compatible board, except for the 14 pin female headers. Two unsoldered 2.54mm 14-pin female headers with long leads. Two 4-pin male screw terminal blocks. One 2.54mm pitch 40-Pin break-apart male header. You will need to solder the 14-pin female headers to the board before use. Soldering the headers is easy if you follow the instructions in our detailed installation tutorial. 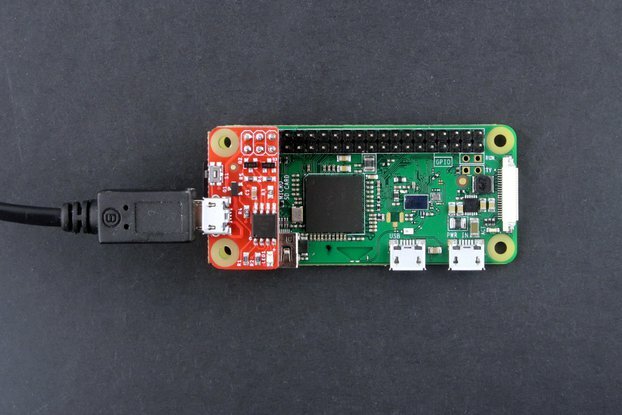 To build a NoCAN network, you will also need a PiMaster HAT (also available on Tindie), a Raspberry Pi, a power supply and some cables/wires. These elements are not included with the CANZERO and need to be purchased separately. For EU-based customers: please select the VAT option, otherwise your order will need to be cancelled. 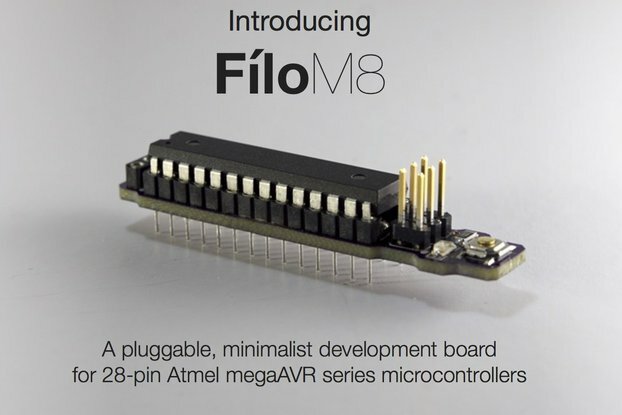 This product is open-source / open-hardware. 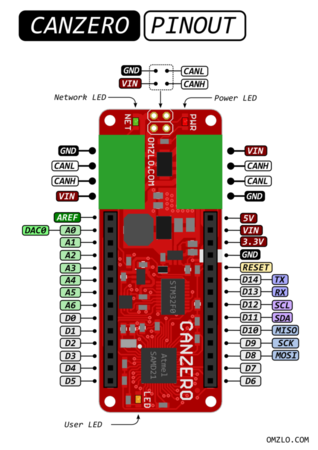 For more information about the CANZERO and NoCAN, including schematics and source code, check out our documentation and our detailed installation tutorial.